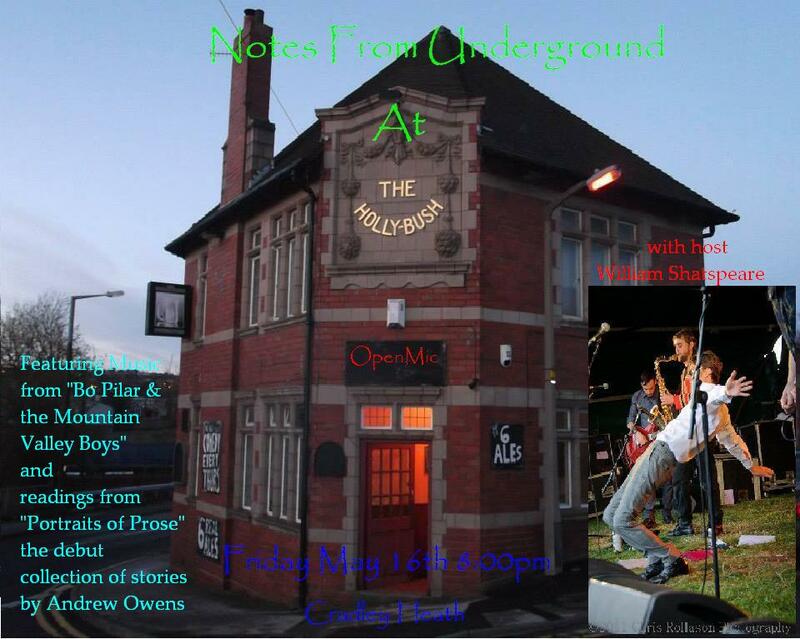 On Friday May 16th 2014 the Holly Bush in Cradley Heath will play host to an evening of music and spoken word featuring readings from Andrew Owens’ debut collection of stories “Portraits of Prose”. Posted on May 9, 2014, in Uncategorized. Bookmark the permalink. Leave a comment.